At Room31 we like to treat our lovely customers to special offers. This month we are bringing you Tweet at 12. Limited stock on each amazing offer. Each day we'll post a new item so you'll have to be quick. 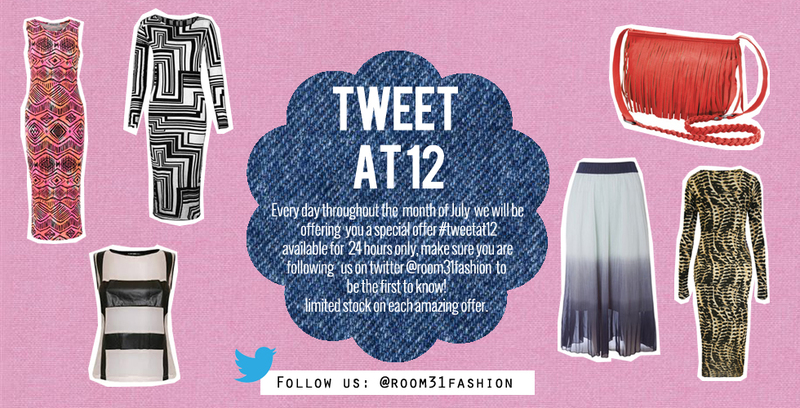 Check here for the Tweet at 12 offers. Got your eye on something on our website?